Zachary Blake ’19 performs a duet with Alex Zhang ’19 at the First Day Assembly. 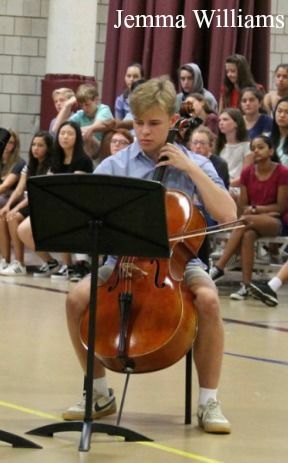 Zachary Blake ’19 is an avid cellist whose passion and dedication to his instrument have reaped great success. Be sure to check out a recording of Vivace on the Electric Razor!